This description of Sylvia Banda's work was prepared when Sylvia Banda was elected to the Ashoka Fellowship in 2012. Sylvia Banda is working to combat the low demand for locally-produced, traditional food in Zambia by creating entrepreneurial hubs that guarantee markets for these goods and by fostering an appreciation for local food in both rural and urban areas. In this way, Sylvia is tackling the high levels of poverty in rural Zambia and facilitating the economic and social development of smallholder farmers by encouraging a shift from subsistence farming to commercial farming of local food. Almost two-thirds of Zambia’s 14.5 million people reside in rural areas, where most are engaged in smallholder subsistence farming. Unfortunately, however, much of the food that they produce is wasted due to a lack of markets for their produce, and inadequate knowledge of effective food preservation techniques. The low demand for local farm produce is also affected by negative perceptions of locally-grown food. Sylvia created rural, entrepreneurial hubs with the objective of improving local farmer’s incomes from produce. These hubs serve as a marketplace for farmers’ produce, where her organization, Sylva Food Solutions (SFS), provides a ready market for smallholder farmers by connecting them with businesses that need their produce. These businesses include restaurants, catering services, hotels, food packagers and processors. She has also boosted demand for these products through the mass promotion of local, healthy indigenous food. Sylvia realizes that the negative perception of locally-produced, traditional food in Zambia significantly contributes to the low levels of demand for local farmer’s produce, especially in the urban areas. 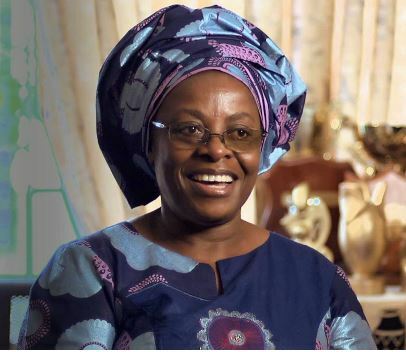 Therefore, she has also developed ways to promote indigenous food, which is far more nutritious than the imported food currently preferred by many Zambians. Sylvia trains farmers on effective, hygienic and affordable food preservation methods that preserve the nutritional value of their produce. She organizes farmers into schemes through which the trading of farm produce between SFS and farmers is orchestrated. Through this arrangement, the farmers are guaranteed to sell most of their produce, thereby increasing income and reducing waste. Together, the farmers form peer-monitoring groups to ensure that they comply with production standards. Sylvia provides information on food preservation and preparation techniques to the farmers in order for them to preserve their nutrients and ensure longer shelf lives. For example, she introduced a new solar drying technique for fruits and vegetables that speeds up the process and retains more of their nutritional value. She also conducts regular post-harvest workshops to train the farmers on hygiene, as well as cooking workshops with rural women where they are taught to use local ingredients in traditional Zambian recipes. Lastly, Sylvia is addressing the negative perception that most Zambians have toward indigenous Zambian food by promoting it both locally and internationally. She is using the local media to draw attention to the nutritional value and diversity of Zambia’s local food by hosting shows on the local TV and radio stations and writing a column for local newspapers. Sylvia is also working on value-added processes that would make indigenous produce more attractive to high-income and foreign markets, which may not be attracted to the local food in its raw form. The underlying goal in promoting local foodstuffs is to ensure that Zambians are proud of their culture and appreciate local food. In this manner, Sylvia is increasing demand for local foods, the benefits of which will pass to farmers and help them improve and sustain their livelihoods. So far, almost 10,000 farmers in all ten Zambian provinces have been trained and benefitted from this initiative. Her target is to reach 90 percent of the farmers in the country. Sylvia has started running post-harvest courses for the first 200 farmers in Mozambique to join this program, and is planning university-level training programs for smallholders throughout Africa. Zambia is one of the least developed nations in the world and many rural Zambians live below the poverty line. About 78 percent of the rural population is impoverished compared to 53 percent of people in urban areas that live in poverty. Thus, almost 80 percent of the total population lives below the national poverty line, and high levels of unemployment result in most rural Zambians becoming smallholder farmers to produce food for their own consumption and to generate a small income. Statistics indicate that more than 80 percent of Zambia’s population is engaged in subsistence farming. Even those farmers with excess produce find it difficult to secure markets for it. Consequently, much of it goes to waste, and undermines their efforts to economically empower themselves through meaningful income-generation. The Zambian government recognizes farming as one of the effective instruments through which poor people in rural areas can secure financial independence and break the vicious cycle of poverty. The government introduced farm inputs subsidy programs to boost local farmer’s production and ensure that there is enough produce to sell and still feed the farmers’ families. Citizen organizations (COs) have joined the government in introducing various interventions, which are meant to increase rural farmer’s produce. These interventions have worked so well that the production of local food has significantly increased over the past ten years. However, the low demand for Zambia’s locally produced food makes it difficult for farmers to secure markets for their produce, and as a result, much of their produce goes to waste. Small farmers strongly rely on subsistence farming but they rarely diversify their crops to obtain food with high nutritional value for their families. Many have started to grow foreign crops due to the influence of urban habits and food preferences. Furthermore, local farmers lack the knowledge and exposure to better food preservation processes to lengthen shelf-life without compromising on the nutritional value of the food. Traditionally, local farmers used direct sun to dry the fruits and vegetables to preserve them. This destroys the nutrient content of the food, leaving it less desirable as a food supplement for healthy living. In addition, the food is ultimately exposed to the sun on bare benches, which reduces hygienic standards and may pose a health risk. Farmers are also unable to preserve large quantities of food as the process is cumbersome and time-consuming. Although the government has worked toward increasing the levels of production for local farmers, it has failed to provide solutions to handling surplus produce in the case of inadequate markets. It is widespread knowledge that most small farmers would increase their harvested areas if they had the knowledge and support to do so. If they could do so with diverse and nutritious traditional crops, they could increase their markets while also providing the urban poor with more nutritious food. This would have great impact, since malnutrition in urban areas is also a growing problem across Zambia. Another aspect of the problem pertains to the inherent negative perception of Zambia’s indigenous and local food, mostly in urban societies. There is very little appreciation of the local food in Zambia, most likely stemming from the widespread belief that foreign items are better than those locally produced. People are more inclined to consume imported food to the detriment of locally produced indigenous Zambian food. There is an overall lack of enthusiasm and pride in local food from Zambia by Zambians. Unfortunately, preference is given to imported food, although its nutritional value cannot, in many ways, surpass that of local food. As a result, many individuals are malnourished and highly nutritious locally-produced food, which could help prevent malnutrition, is wasted. Furthermore, eating “traditionally” can increase the intake of vitamins, minerals, and macronutrients that are fundamental for healthy living, because traditional foods are predominantly based on whole, non-chemical and free-range produce that preserve the original properties of food contents. This nutrition is consistently lacking in many Zambian, and African diets. However, the Zambian government has no strategic plan to use a traditional framework for assessing local food production in different provinces, and therefore is unable to plan effective actions to cope with events that provoke shortage of food, such as floods and droughts which are a constant in sub-Saharan Africa, without having to depend on expensive imports or humanitarian donations of food. Sylvia founded SFS in 2005 to provide an efficient and viable avenue for enhancing economic empowerment of rural smallholder farmers. Because of the legal structure in Zambia, Sylvia had to set up her organization as a for-profit in order to be allowed to conduct business with local farmers and connect them to markets in the Zambian context. The CO sector in Zambia is also saturated by large international COs that divert most of the foreign and local funds toward their programs rather than local efforts. Sylvia felt that she would struggle to thrive in this environment if SFS was a small CO that funded the trainings with donor money, and simply partnered with for-profits on the market-side operations. Thus, SFS is structured as a for-profit venture to comply with legal regulations and to ensure that it thrives in this context. SFS serves as an innovation hub where 100 percent of the profit is invested in the training of and outreach to farmers, as well as in the research and development of new products, inventing new preservation techniques and opening new market opportunities, including technical support for farmers to run their businesses. Through SFS, Sylvia has organized local farmers into farmers’ clubs (called ‘out-grower schemes’), which act like bulking centers where farmers help each other with various challenges in their production to ensure they come up with quality produce. This framework helps Sylvia to the monitor quality of the farmers’ produce throughout the whole process. The groups also facilitate the logistics of supplying farm produce to SFS both quality and quantity-wise. Overall, Sylvia has sixteen out-grower schemes with which she deals nationwide. SFS provides a market for all the surplus produce cultivated by the farmers after taking out enough to feed their families until the next cultivating season. Sylvia recognizes the challenges the farmers have in transporting the produce to her, so to resolve this, she has put in place a system (she calls ‘pay forward’) whereby farmers, through their groups, transport their goods to businesses and SFS pays the costs on delivery. Sylvia is further concerned with the traditional ways in which farmers dry and preserve their vegetables; to not undermine the quality of the end product or destroy the nutrient content of the food. SFS has therefore introduced a modern way of preserving fruits and vegetables: solar drying. The aim is to increase the shelf life of vegetables without compromising the nutritional value that makes traditional food valuable. The new way of preserving food also proves to be efficient in terms of volumes and maintenance of quality and hygienic standards. Sylvia partnered with academics at the University of Zambia and the World Bank to produce the solar dryers that SFS makes available to the farmers. To complement this, Sylvia facilitates regular three-day post-harvest workshops to farmers on how to manage their harvests and preserve their produce effectively and efficiently to maintain the required quality and nutrition levels. So far, almost 10,000 farmers have been trained in all ten provinces of Zambia. The farmers receive training manuals for reference as well as various recipes on local traditional food preservation and preparation. Sylvia is also pursuing a number of strategies aimed at promoting local and indigenous Zambian food, both on the local and international front. To change the perception of traditional food on the local scene, Sylvia is attractively packaging the produce bought from farmers to appeal to people from all social groups through supermarkets and other retailers. She also hosts shows on local TV and radio stations to showcase the nutritional value and tasty flavors of Zambia’s food to help remove the perception that indigenous food is only for poor people who can’t afford imported products. She writes a column in the local paper on local food values and recipes with the same objective. In addition, Sylvia has authored and published the first book on Zambian cuisine with different recipes from indigenous food; facilitates “cook of the year” competitions that encompass indigenous Zambian food as a theme (with five so far); and invites other Southern African countries to present their traditional recipes in annual food fairs organized in Zambia’s National Museum. All these different strategies are geared toward creating awareness and changing peoples’ mindset about local food. So far, Sylvia has managed to increase the popularity of local foods such that celebratory functions in Zambia are no longer a success without featuring traditional options on the menu. SFS is also targeting the international arena. With the help of the World Bank, SFS has started adding value to traditional food to appeal to these markets by introducing products in a format that is commonly appreciated by non-Africans but made of traditional Zambian famers’ produce, such as soups, cassava muffins, moringa tea bags, canned chicken, and goat meat for both local and export markets, including Zambians in the diaspora. By promoting local food, Sylvia aims to increase its demand—ultimately increasing the demand for local farm produce that passes to the farmers who will benefit from the increased sales and income. Sylvia’s idea is now consolidating and she has been partnering with many international COs such as World Vision, Africare, and Care International in Zambia to provide the farmer’s engaging in their projects with one of the main bottlenecks of their development work, which is access to markets. Her work has also been recognized internationally: The Bill & Melinda Gates Foundation invited her to share her ideas on rural community-based food programs in the United States. In 2011 Sylvia was also invited by the First Lady of Mozambique to conduct training for 200 Mozambican rural smallholder farmers in Tete Province on effective local food preservation and marketing processes. She now wants to spread her work to more African countries and one way of doing so is through a university-level training program she has set up in partnership with the University of Zambia, to incorporate her innovations and emphasis on traditional food and recipes into agriculture-based training. Sylvia’s entrepreneurial qualities surfaced in high school when she could identify business opportunities such as designing and selling clothes to her classmates or preparing recipes and offering them to the school kitchen. Born in a family of seven girls and one boy, she set her mind at an early age to become her own boss. With a passion for food, Sylvia studied catering and then got a job at a Lusaka-based catering institute. When she was later deployed to a Human Resources department instead of the kitchen, she felt misplaced and this pushed her to start her own catering business, albeit, with no start-up capital. Out of thirty students in her catering class, Sylvia was the only one to make a business career of it; a testament to her passion for the food industry. Sylvia’s small catering/restaurant business was set up in 2002 as a one-woman show, with Sylvia as the only employee. With no capital, she borrowed raw materials (cooking oil, vegetables, and so on) from her kitchen at home. She did not even have furniture on her first day, so her customers ate while standing. This did not dampen her enthusiasm—her creativity helped her think fast and she proudly announced, “This is a standing buffet, feel free to mingle and network as you eat!” Her business rapidly grew and after three years was operating sixteen canteens for corporate clients—but Sylvia wanted to fulfill her passion for transforming food to reach its full social and economic potential. So she handed over management of the catering business to her husband and founded Sylva Food Solutions, a social-mission driven innovation business hub, to promote local Zambian food. Sylvia’s interest was ignited by her frustration at seeing how imported food was being promoted and consumed by most people, especially in the urban areas. To Sylvia, this was unfair, as most of the imported food has less nutritional value and diversity in taste as compared to local food that is also cheaper. This, coupled with the plight of poverty of the rural smallholder farmers, moved her to focus 100 percent of her time and energy to empower local farmers economically and promote local Zambian food. Sylvia’s passion to promote local food and contribute to the rural economic development agenda of Zambia has also pushed her to be a role model in Zambian business circles, locally, and in international CO and donor sectors. Driven by the philosophy “Finish what you start,” Sylvia sees SFS in the next five years as a center of excellence for promoting and marketing indigenous Zambian food to benefit rural smallholder farmers and as a reference point for other African countries.